A while ago I acquired a Sega Baywatch pinball machine that had a broken dmd screen. As you may be aware, this type of pinball machine uses an extra large sized dmd. These are very difficult to find and are very expensive. In the past a lot of Sega games were just parted out because replacing the display was too expensive compared to their value. Luckily there's a new solution now. It's possible to install an LCD screen from a computer, and this will display the dots using a DMD extender developed by Dr Pinball. 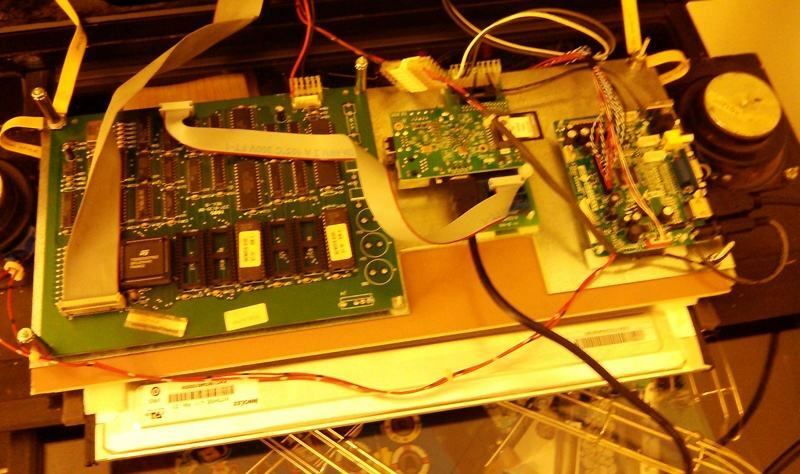 Its original goal is to 'extend' the dmd images so you can show them external to the pinball machine, like on a large television at tournaments. But you can just as well install it as the main screen inside the pinball machine, replacing a dmd. Technically it consists of a small board (the dmd extender), that is connected to a Raspberry Pi mini computer. That Pi itself sends its output to an lcd driver (which you buy together with the LCD screen, for instance on ebay). DMD Extender is compatible with all major brands of pinball machines that use dmds: Bally / Williams, Data East / Sega / Stern, Gottlieb and even P-Roc custom games. Compared to other solutions that provide color replacements for dmds, the extender has its strength and weaknesses. It's cheaper and works on all types of pinball machine. The disadvantage is that it's not custom made for a specific type of machine so it's less 'impressive' when colorizing dots. Some other products are custom developed for a specific model and have many colors, manually optimised for every animation, which gives better looking results. The dmd extender takes a more simple approach. You can easily, but only, select a few colors that correspond with the different brightness levels of the display. It less intelligent, it doesn't know what specific animation is shown on the screen. You can leave it set to shades or orange so it looks most similar to the original display. But it's easy to make them colorized, just set different colors for the different brightness levels. How succesful this looks, depends on the game and it's animations shown. You may not always get the color effect you want, or a few animations may look a bit off because color may look a bit off in that specific image, but with some trial and error you can find a combination of colors that looks good. When looking at examples of other people settings, it seems always possible to find a good combination for every game, making the DMD Extender a nice improvement and upgrade. Installation is well documented on the website, here are some pictures how I did it (not exactly following the suggested setup). 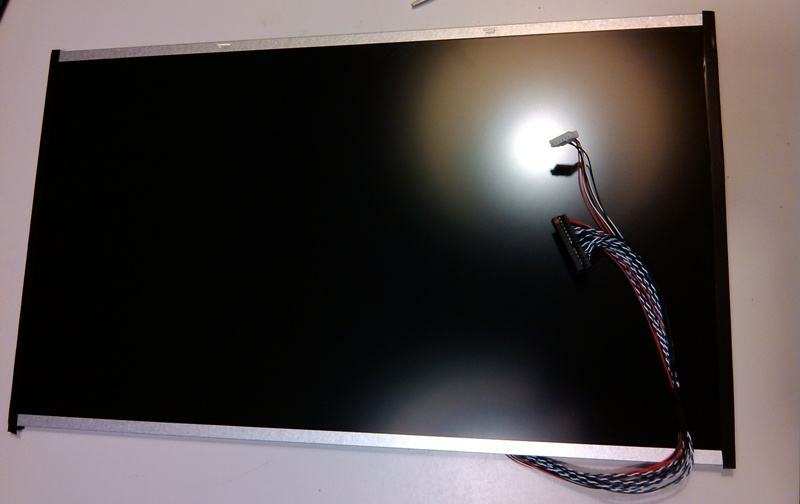 The new LCD screen that will replace the LCD. DMD Extender can work with different aspect ratios, 4:3, 16:9 and 16:10. Preparation before installation. 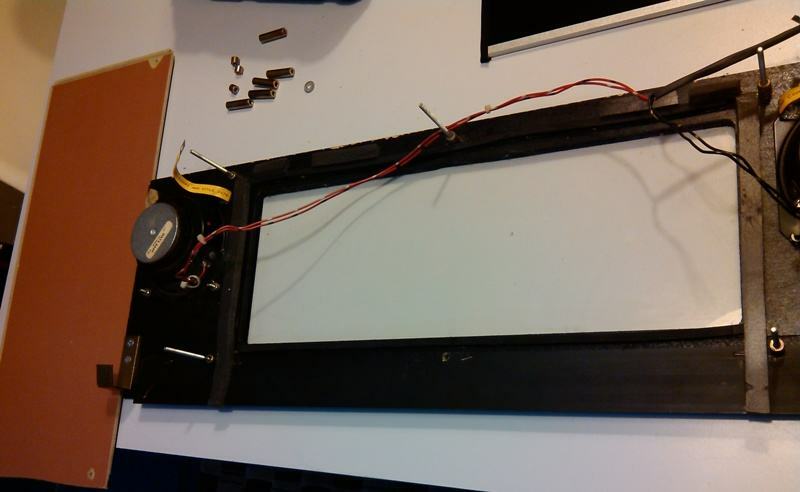 Remove the old screen, cut a piece of wood in the correct size (template provided on their website) to mount all parts on. Here are all parts mounted. I had them mounted first onto the originel metal plate that was installed but you can also mount them onto the piece of wood. 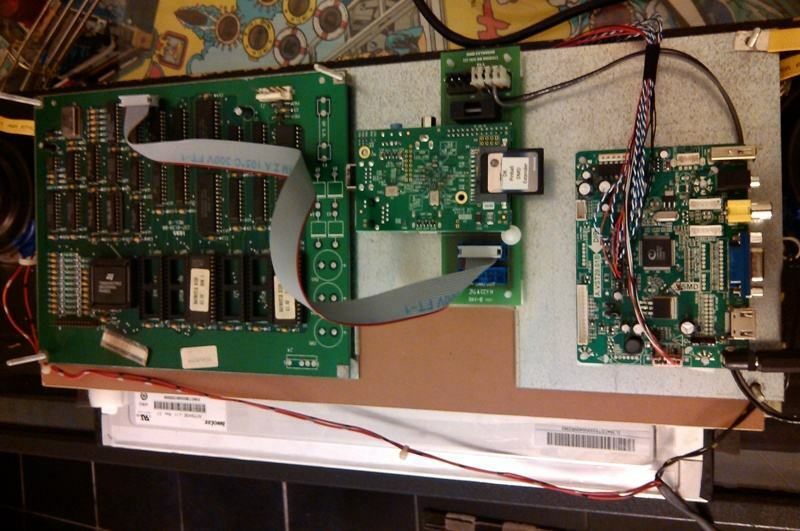 On the left is the original Sega DMD Driver board. This is connected with a flatcable onto the DMD extender in the middle. On top of it sits the Raspberry Pi. In it's slot is a memory card that has the software and configuration. On the right side is the LCD driver board. All wiring connected, the Pi's HDMI output goes into the lcd driver screen. On Sega you can power the boards using the games wiring harnass. On other brands you need to have an extra power supply. Everything is working, all animations are now in color ! Crappy cellphone picture, in reality it looks much better than this.. I selected blue, orange, yellow and white as color scheme. Setting the colors is easy and straightforward. Take the memory card that's inserted on the Pi. Open it in your laptop and there is a configuration program. There you can change all the necessary configuration, screen size and position (like offset from the top and sides). To help you chose colors, there's even the possibility to record the animation (when inserted in the pinball machine) and replay this when doing the configuration. That way you can instantly see how the selected colors are shown in the different animations. Insert the memory card back in the Raspberry Pi, and your newly selected colors are used.